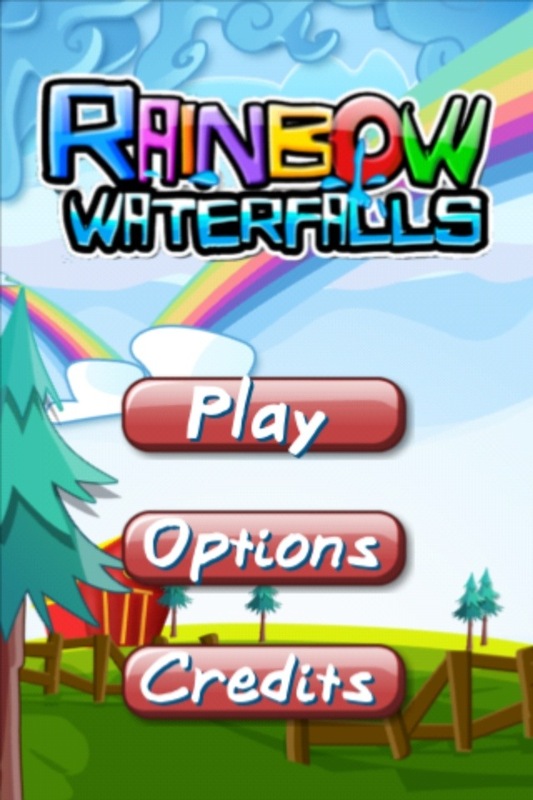 Rainbow Waterfalls developed by Lazyboy Developments is an addictive little game. I’ve tried my hardest to put it down on a number of occasions today and struggled to succeed. It’s an excellent little time waster and you find yourself saying “I’ll just do this next one” 5 levels later your still playing. The game objectives are simple, get the water into the beaker. On some levels this becomes easier said than done. 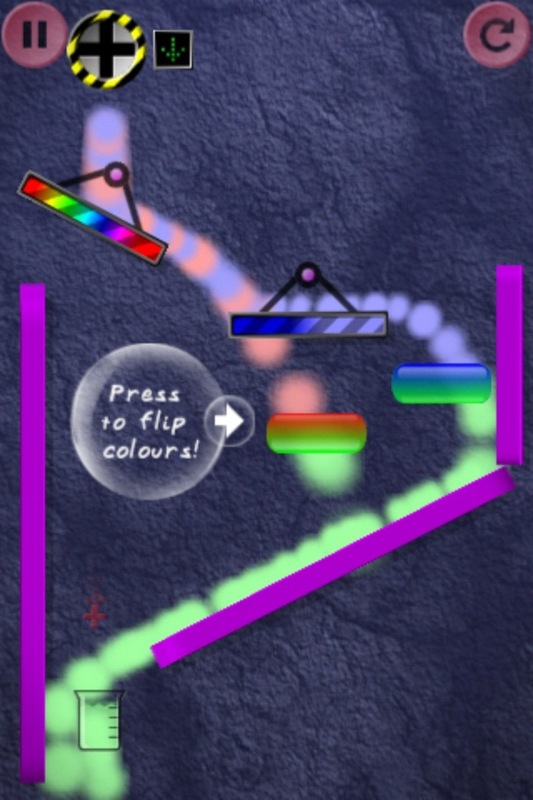 I’m currently stuck, I don’t see how Level 1 – Puzzle 18 can be done. When you get passed it let me know how. When playing the different levels you are presented with different challenges. When the water pours out, it comes in a variety of different colours, I’m taking it that’s where the name comes from. The beakers located in different places on the puzzle require different colours to fill them up, get the colour wrong and it just disappears, which isn’t a bad thing. The interface is easy to follow and simple to use although the graphics could do with a little work to sharpen up the images and get a little more tone in the colours. This doesn’t cause any issues in gameplay and you can tell which beaker the water needs to be in so no problem, would just make for better presentation. Overall, the game is a very good start, being only on Version 1.0. I would hope to see some improvements and extra levels in the not to distant future.